The Pastor Nominating Committee is pleased to announce that, after 6 months of weekly meetings, reading over 71 applications, listening to sermons, conducting interviews, and prayer and discernment, it has selected a nominee for our next pastor at Westminster— the Rev. Patrick David Heery. On January 31, Patrick preached during the morning worship service at 9:30, and the congregation voted to call him as its next pastor. Patrick is a young, enthusiastic pastor who has a big heart for pastoral ministry. He is passionate about preaching, pastoral care and outreach. An ordained teaching elder in the Presbyterian Church (U.S.A.) since 2011, he is the great-grandson of a minister and the son of two public school teachers.. Patrick grew up in Cincinnati, Ohio, and was ordained as a ruling elder while still a teenager. He earned degrees in English and Classics while attending Ohio University, and graduated from Princeton Theological Seminary in May 2011 with a Master of Divinity. He then began work with the Presbyterian Mission Agency as associate for social witness and managing editor of Unbound, an online interactive journal of Christian social justice. Patrick is an Eagle Scout, has served as a prison and hospital chaplain, is formally trained in faith-based community organizing, and was formerly staff for the Ford Foundation's Difficult Dialogues Initiative at Ohio University, where he helped facilitate constructive discussion of religion, race, and gender. 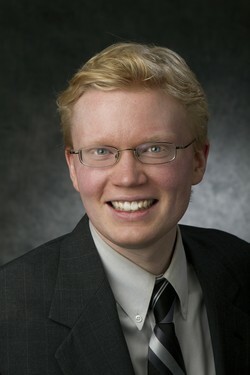 In 2013, Patrick became the editor of Presbyterians Today, the national magazine of the PC(U.S.A.. Patrick has been recognized by the Associated Church Press with the James Solheim Award for editorial courage and has earned Presbyterians Today the title of best denominational magazine three years in a row. Patrick's unique ministry experience ranges from integrating worship, the arts, and mission; to organizing a three-day Jesus and social justice revival in New Jersey that brought together more than 400 people across denomination, race, and class; to leading a monthly hiking and small group ministry. Patrick has worked extensively across the denomination, creating resources and leading conferences and workshops to empower and educate congregations in intergenerational ministry and communications. In 2012 and again in 2014, Patrick worked with noted author and pastor Brian McLaren as well as Parker Palmer of the Center for Courage and Renewal to organize an institute and network for emerging congregational leaders. Patrick will be joined by his wife, Jenna, also a pastor, and their two dogs, Darby and Charlie. They love hiking, art, watching movies, and owning way too many books.